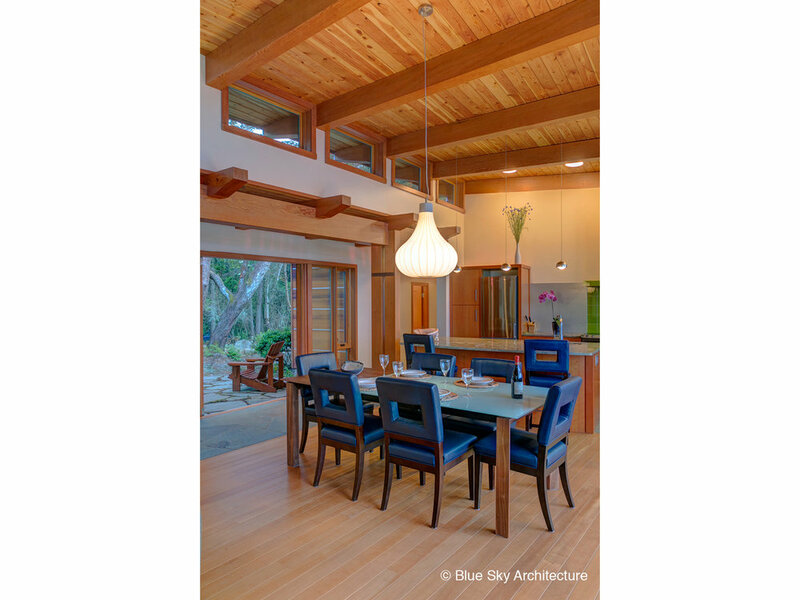 COMPLETED 2015 | 2,850 S.F. 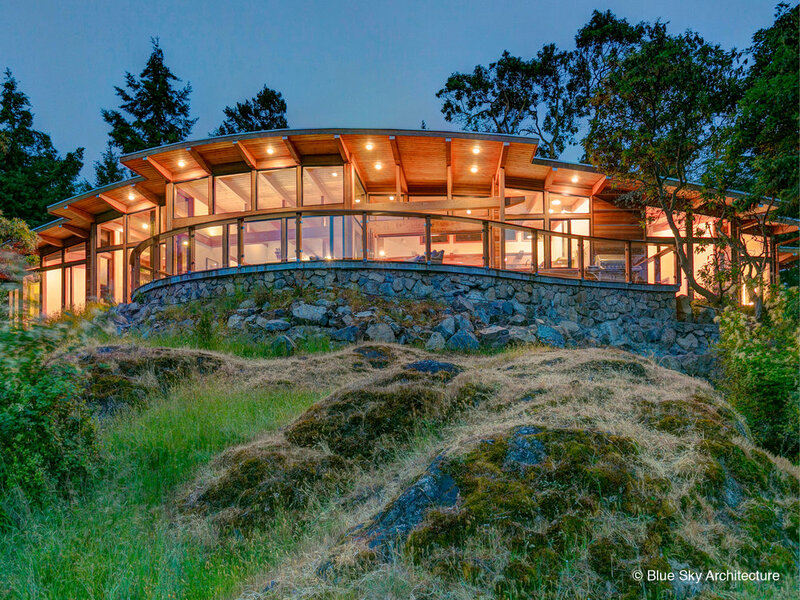 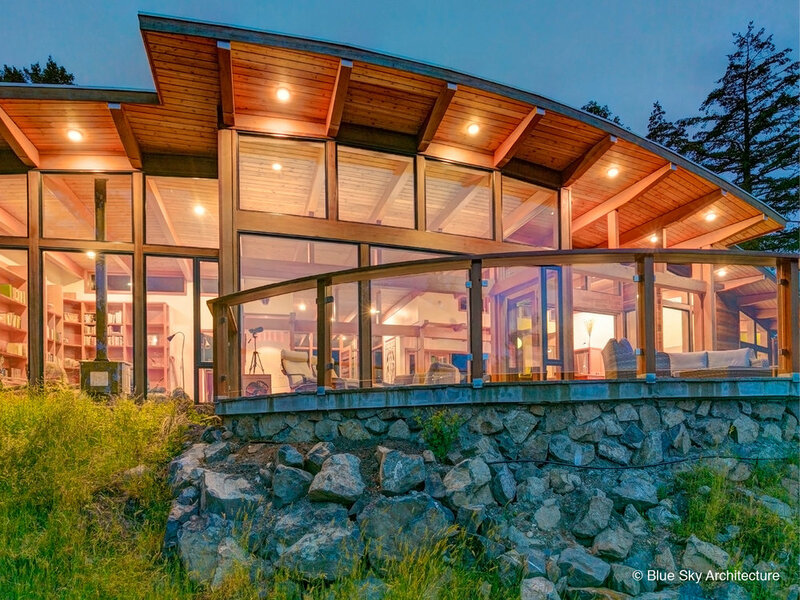 On the edge of a forest, this example of island home design curves along a ridge with spectacular views over Saanich Inlet. 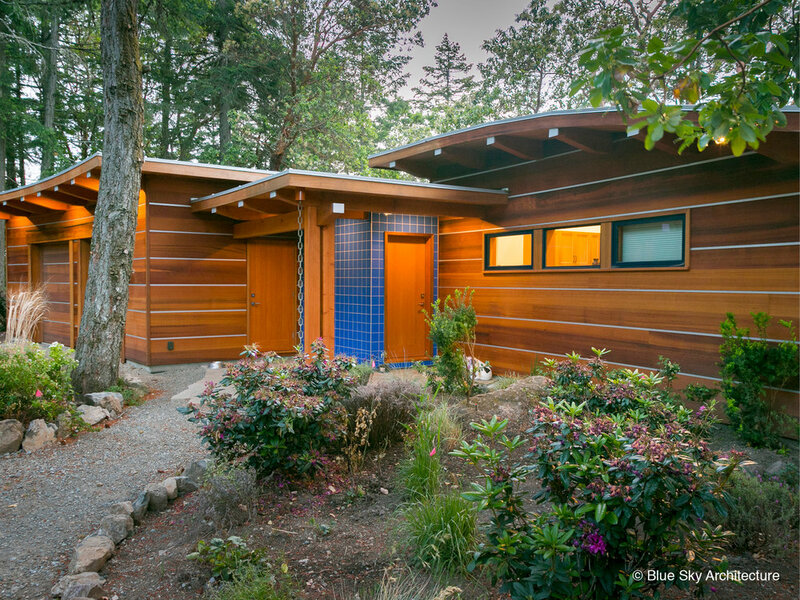 The house, guesthouse/studio, garage and shop are a series of pavilions with curving red cedar clad walls, punctuated with rectangles of intensely coloured glass tiles and folding glass walls. 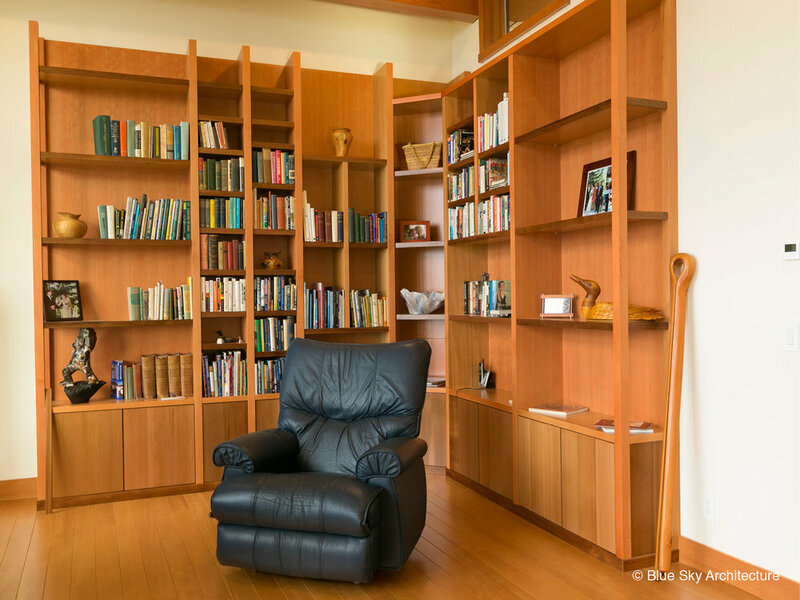 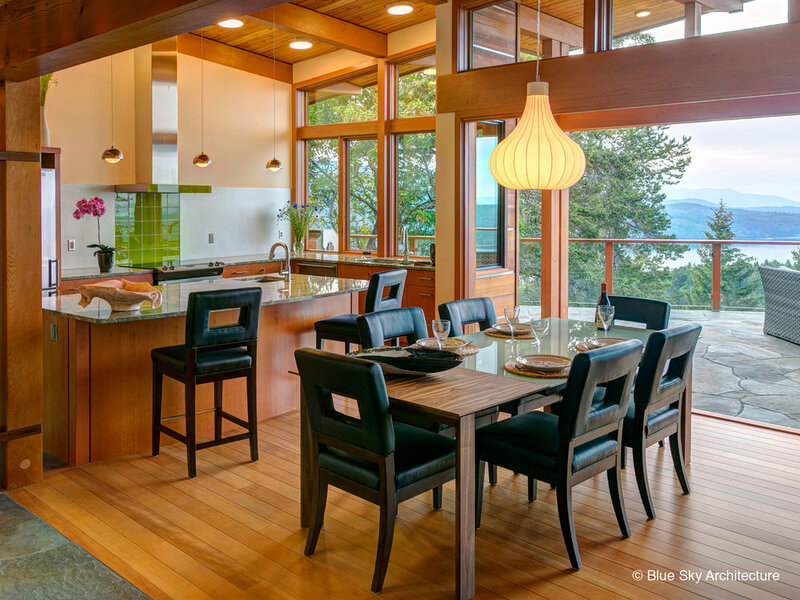 Because of the high quality and grain of the cedar siding, combined with thin, inset horizontal galvalume strips, makes the home feels like fine furniture sitting in the arbutus forest. 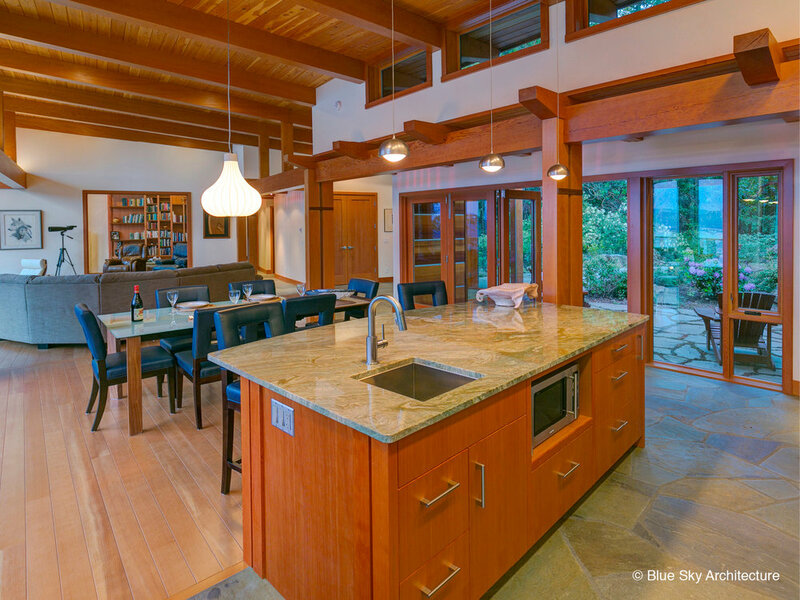 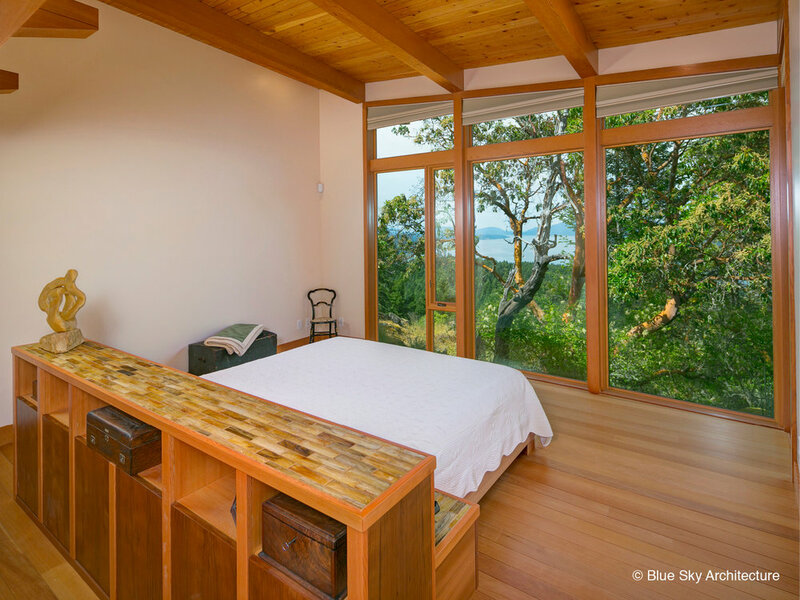 This island residential design is built up from the bones of robust douglas fir timber frame and raftered ceiling. 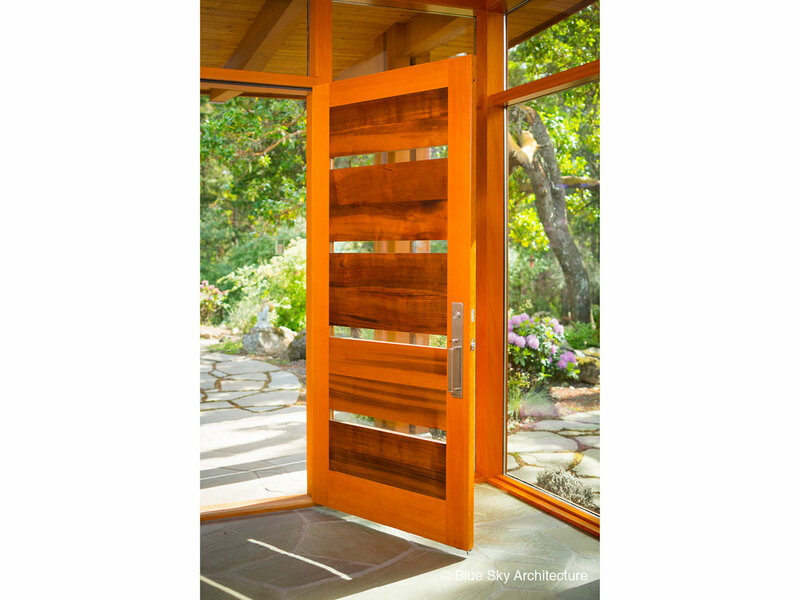 Windows and doors are custom built. 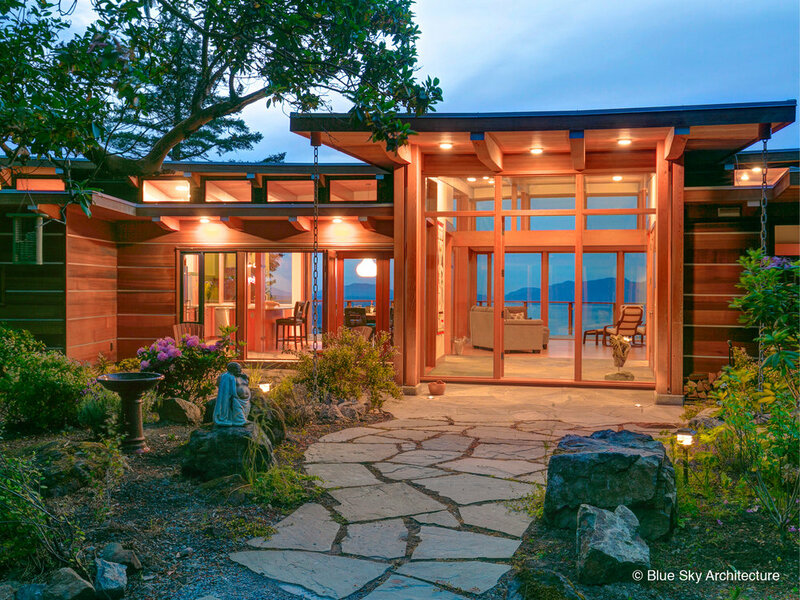 The entry door is a douglas fir frame with red cedar panels and horizontal glazing strips to match the walls, all true to the residence’s West Coast Modern architecture style. 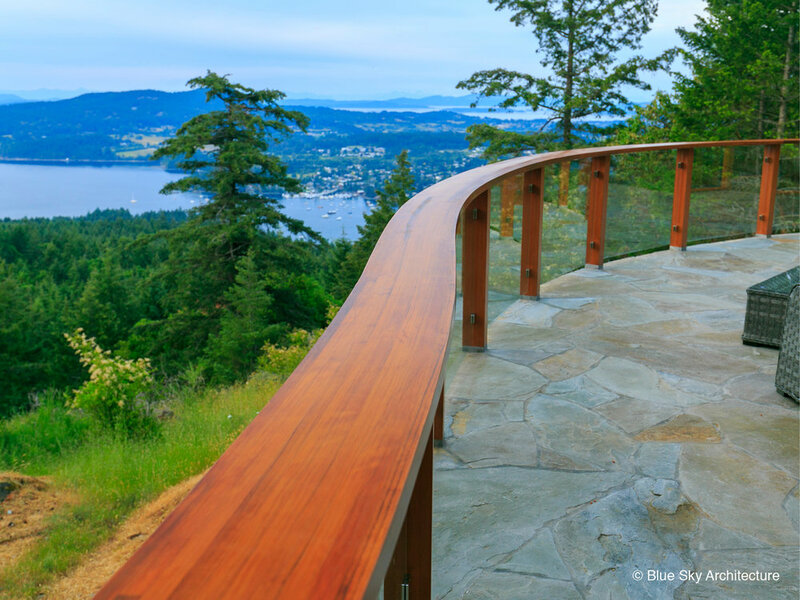 A single laminated red cedar handrail snakes around the northwest facing terrace.